Thomas Camilleri's photo from his Facebook profile. Two Maltese men, initially reported missing in Tunisia by their families, were discovered in a Sousse jail after they were caught attempting to smuggle 70 kilograms of cannabis into Malta. Thomas Camilleri and Glenn Paul Xuereb, both 22, were arrested on July 14 after the two Libyan men they were in cahoots with were apprehended and chose to cooperate with police, Tunisian sources told The SundayTimes. Mr Camilleri and Mr Xuereb, who were last Wednesday charged in a Tunisian court with attempting to traffic the drug, could face lengthy prison sentences. The men denied the charges in court. Penalties for possession, use, or trafficking illegal drugs in Tunisia are severe, and convicted offenders can expect to face long jail sentences and heavy fines. When contacted, the Foreign Affairs Ministry confirmed that the two Maltese men had been arrested over drug-related offences. The exact details behind their imprisonment only emerged last night though information was scanty. Until yesterday morning Maltese authorities were still in the dark as to the details of the charges and what the drug in question was. The men had timed their trip to coincide with the performance by popular Maltese DJ, Miss Roberta, in Gammarth, Tunisia, on July 7. The next day, Miss Roberta wrote about the "wicked gig" on her Facebook page and Mr Camilleri chipped in with comments. However, the two lost contact with their family on July 14, sources said. They were meant to return to Malta on July 18, but when the families failed to hear from them and were unable to reach them on their mobile phones they raised the alarm and last Thursday contacted the ministry. The ministry immediately liaised with its embassy in Tunisia and a search for the missing men started in earnest. The initial fear was that they were hurt or had been involved in an accident, seeing that traffic in Tunisia was so erratic. After nearly a day of phone calls and numerous dead ends, the embassy finally tracked down the men in jail where they were being held on drug-related charges. 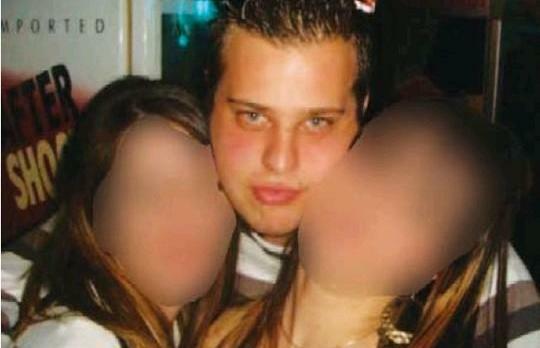 When contacted, Joe Camilleri, Thomas' father, said the families had been unable to speak to their sons. Although concerned, he sounded relieved his son had not been hurt. "At first we thought they went missing and expected the worst. As long as they're healthy, it's enough. Now we're waiting to see how proceedings will develop," he said, adding he did not wish to comment further.